Select your product from the list on the left of the page or visit home. On the individual product pages you can configure each product to your liking and be presented with an automatically calculated price for the product. When you have finished configuring your item, you can proceed to the shopping cart. Tip: You can put multiple items into the cart. All items in the cart can be edited before you proceed to checkout. To do so, please select "Change product options", edit your item to your requirements and put it back into the shopping cart. When you have chosen your product, upload the PDF files for your items by selecting "Upload documents" for each item. You may also send your files via email after placing your order, if you wish to do so. Alternatively you may assign any missing PDF files after ordering from your user account. Please note, that production of your order cannot begin until all required documents have been uploaded. In the cart you will also see the different shipping options and the corresponding prices. As soon as you have sent your files, you will need to give an address for the shipped goods and invoice. After the order has been completed, you will be able to see the status of your order. If you would like to split your order and have it shipped to different addresses, please contact us. We are happy to help. The product price will be directly calculated and displayed on the right-hand side of your browser window while you configure your product. You will also find a more detailed price overview in the shopping cart by clicking on the orange magnifying glass icon next to your product. We are also pleased to provide you with individual offers. Please use the request form for a special requests, send us an e-mail or place an order and use the comment field to inform us that you want to receive an offer based on the order just placed including any possible special wishes. If we do not achieve agreement regarding the final price, your order will of course be cancelled. Which File Format is Needed for Printing? In general we only accept PDF files or certain image files (JPEG, PNG, TIFF) as print documents. Should you have problems converting your documents to PDF, follow the instructions below or contact us. Single Pages or side-by-side Double Pages? Please ALWAYS create your PDF documents for books using single pages, not pages side-by-side. What Resolution Is Recommended For Images? If possible your images should have a resolution of 300dpi. Images with lower resolution may appear blurry or pixelated in the final print. Tip: Zoom into 200% in your PDF document. If the images appear pixelated or otherwise unsatisfactory, replace them with images that have a higher resolution. How to avoid color deviations and differences in brightness between screen and print? Your screen shows images in the RGB color model, which due to illumination appears differently than printing inks (CMYK color model). Thus, it is possible that the print appears darker or colors differ from screen to print. The selected paper type also influences the printed image. Tip: You can order some test prints as inexpensive loose leaf printing before placing your main order. Then write in the comment box: "These are proofs for a coming order, please work with a brightening to keep the pictures from getting too dark and note the used print settings in your editing notes". How Wide Do the Page Margins Need to Be? For most binding options a left margin of approximately 2 cm is required. Images require a minimum margin of 0.5 cm. We also print and bind cut-in images. For this bleed cut a minimum of 2mm should be added. Please leave us a comment that you require full-bleed printing before completing your order. For further information and advice do not hesitate to get in touch via email or telephone, please visit contact for contact information. For advice on how to design a cover page please visit the follwing link: How to make a cover page. In Word, you only have to click on "File" (top left). Then click on "save as". You select the desired location on your hard disk, and then select the file type PDF. In OpenOffice Writer click on "File" (top left). Then click "Export to PDF" and follow the instructions. 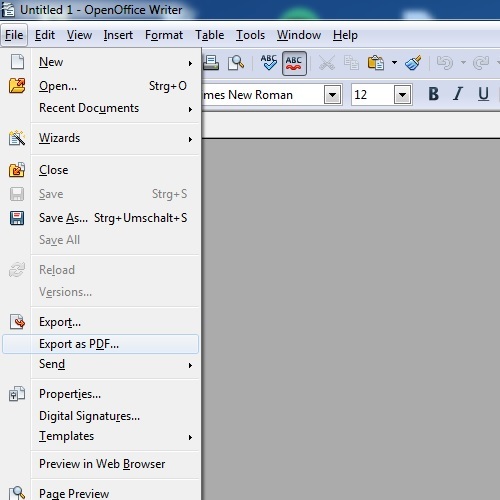 The tool PDFCreator (https://www.pdfforge.org/pdfcreator) is able to convert documents of any types to PDF. 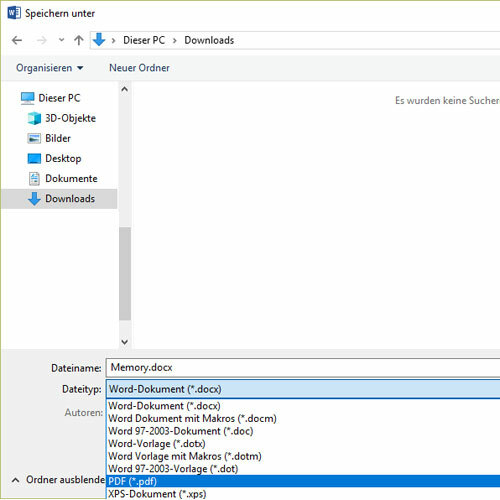 The tool PDFArchitect (https://www.pdfforge.org/pdfarchitect) is additionally able to edit, split a PDF and merge several PDFs to one document. If you cannot create a PDF, send us your file by e-mail. We will create a PDF file for you to check. Upon release by you, we will print your order. Please notice that we need to add a service fee for this. Why is printing a PDF and not e.g. a Word file is required? Your print files should be converted to a PDF file so we can better process your data. For other open files (for example, Word files), processing on "foreign" machines could modify the fonts or all formatting. PDF files ensure that fonts and edges are preserved. For calculating your price, you are required to indicate the number of colour pages. It is not necessary that you indicate exactly which pages are in colour, as our printers automatically recognise colour pages. You will be informed of any differences to the amount you indicated and charged where applicable. 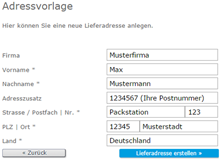 We ship for 2,00 € with DHL to any given address within Germany (or your closest DHL Packstation, see below). For this your order needs to be placed before 10am CET the day before. Your order can also be delivered to a DHL Packstation, provided you have selected DHL shipping within Germany. Enter your post number in the field "addtion to address". Instead of indicating a street please indicate "Packstation" and the corresponding number of the Packstation. In the fields for post code and city please enter the post code and city of the Packstation, to which your order shall be delivered. You will definitely receive your order by 2pm on the next working day after the expected shipping date. For this your order needs to be placed before 12am CET the day before. Please note: if you wish to receive your order on Monday morning, you must place your order with us by 12am on Friday. The express service fee depends on the product price. 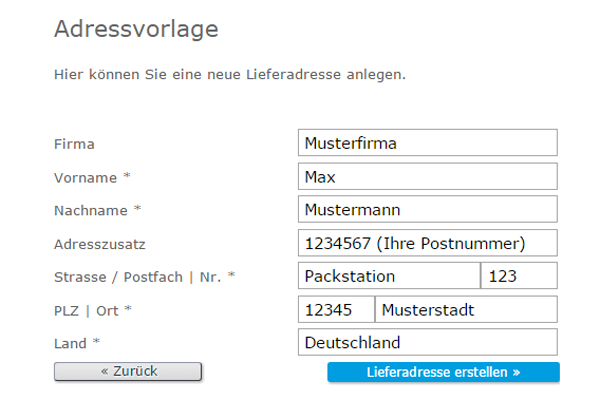 Please notice: If your billing adress is not in Germany, you have to pay for your order before we will start production. If you do not pay for your order shortly after ordering, the originally given shipping dates can not be guaranteed. Within the countries of the EU we charge 20.90 € for standard shipping within 5-6 working days. For shipping to Sweden we charge 9.90 € for shipping within 2 working days (with DHL). For shipping to Switzerland we charge 32.20 € for shipping within 5-6 working days. The self collect option without shipping charges is available in our sedruck shops in Leipzig, Darmstadt & Cologne. You must pay your order upon collection in cash or with debit card (online payment options are not available). The following target pick up times only apply after confirmation by the shop. You will receive confirmation by telephone from your shop within their opening hours. Please ensure that we can reach you by phone. Generally you can collect your order within 24h if your order was placed by 14h00 the day before. For example, if you place your order by 14h00 on Monday, you can usually collect your order on Tuesday from 14h00 (only applicable after telephone confirmation by your shop). Generally you can collect your order within 24h if your order was placed by 14h00 the day before. For example, if you place your order by 14h00 on Thursday, you can collect your order on Friday from 14h00 (only applicable after telephone confirmation by your shop). If the order is placed on Friday by 14h00, your printouts will be available the following Monday from 14h00 (only applicable after telephone confirmation by your shop). All orders placed on Friday after 14h00 until Monday morning 08h00, the earliest pick up time is Tuesday 14h00. For example, if you place your order between Friday afternoon (after 14h00) and Monday morning (before 08h00), your printouts can be picked up on Tuesday after 14h00 (only applicable after telephone confirmation by your shop). We only accept payment by one of the options given on our websites: Currently available payment options are: PayPal, credit card or direct debit via Secupay and SOFORT Überweisung. For business customers we also offer payment on invoice. Private customers can send us a request if they wish to pay by invoice. If you wish to collect your order, please note that our shops only accept cash or debit cards. Please note that we send the invoices together with the shipping confirmation by e-mail - and only on request by letter. In addition, after handover of your order to the shipping service provider, you can download your invoice in the user account as a PDF file. The invoice is to be paid immediately without deduction. If the customer remains in default of payment, we reserve the right to charge € 2.00 for each reminder. In case of further default of payment we transfer the claim to our collection agency. Payment by invoice is also possible for private customers after explicit request and if they pass a credit check, provided that the billing address is located in Germany. Even if you select this payment provider we will enclose the invoice in your order. It should be noted on the invoice, that it has already been remitted. If this is not the case, then your order was shipped before we received your payment. You do not need to pay a second time. In your account, after the end of ther ordering process, you can also choose to pay using PayPal. Simply select this option in your order overview and follow the instructions. To pay with your credit card (Visa or Mastercard) please complete your order. Afterwards you can click on the credit card symbol in your order overview in your account. Simply follow the instructions. Credit card payments are processed by the German company Secupay. To pay by direct debit please complete your order. Afterwards you can click on the symbol for direct debit in your order overview in your account. Simply follow the instructions. The payment is processed by the German company Secupay. If you have a coupon, you can enter the code in the shopping cart, there you will see a field "coupon code". Please enter the code here. Please pay attention to capital letters, possible space characters, minimum order value and the expiry date. Should you still encounter any problems entering the code, please do not hesitate to contact us. When you pick up your order, you will need to pay in the shop using cash or debit card. Discount from the sedruck-card is not applicable for online orders. 1. Log in to your user account. If you have forgotten your password, click on the blue link "Forgot your password? ", enter your e-mail address and you will receive an e-mail with your new password. 2. Go to the order overview "My Orders" within your customer account. There you will find your orders. In addition to the individual products you will find a button "Recalculate product for new order". Furthermore, you can use the button "Recalculate a new order" to re-run the entire order again. 3. In the shopping basket you have the possibility to change the order. You can go to "Change product options" or you can completely remove or add new products. Then select the desired shipping type. 4. Follow the further order process and, if necessary, change the delivery address. The address is then stored and can be selected for subsequent orders by clicking on it. 6. You will receive the invoice by e-mail as a PDF document as soon as the order has been produced and sent to the dispatch department. Please note that the order processing only takes place from Monday to Friday. If you want us to produce your express order without delays you have to send your print documents before 12am.